The Midwest Corporate RE/MAX offices held a video contest, #RefreshMe, in celebration of the 2017 RE/MAX marketing changes. Over the past few years, we have gotten pretty good at video marketing, so we couldn’t resist entering the contest. We had a lot of laughs making this video. We hope you enjoy watching this as much as we enjoyed making it! 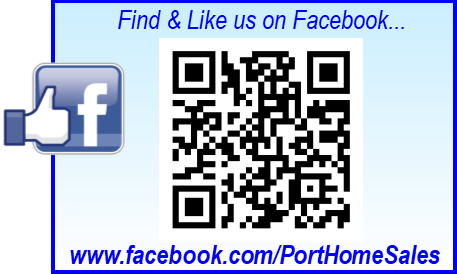 To see more of our marketing videos visit us on FaceBook at www.facebook.com/PortHomeSales and while your are there please like and share our page. Moving out of State? Of Course We Can Help! For home buyers and especially for home sellers, moving can be one of the most stressful events in a persons life. It's human nature to get attached to the homes we live in. Change isn't always easy. A recent study shows that for some people, moving can be as physiologically stressful as losing a loved one. A good real estate broker (one who is knowledgeable and truly cares for their clients) can make this process so much easier. Studies show that most home sellers work with the first agent they meet. Sometimes this is an error, especially when a seller gets matched with an incompetent or uncaring broker. Of course, we are only licensed in two of the fifty states; Illinois and Indiana. With the growth of our team, we now service Northwest Indiana, Chicago and the Chicago Suburbs. So how do we help you find a caring and knowledgeable broker in another area? During our 23 years of selling real estate in Indiana and Illinois we have developed a network of top agents that we have worked with and that we trust. We personally know great agents across the country including California, Arizona and Florida. We even work with agents in Canada! We want you to have a smooth transaction and make your life easy no matter where you move. When you are moving to or from anywhere, give us a call. We care about you and we care about your friends and your family. 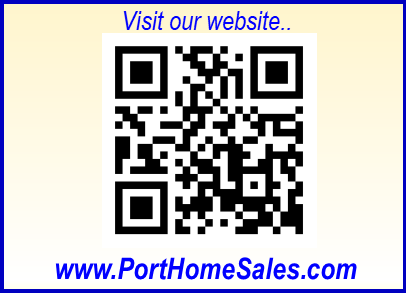 We would be happy to recommend you to a competent Realtor®. I found this little gem, of course I make it on the lighter side! Beat the cream cheese until creamy. Turn the mixer down to low and add the powdered sugar one cup at a timeuntil incorporated. Turn up and beat well for a minute or so. Add 2-3 heaping tablespoons of the drained crushed pineapple and stir in with a rubber spatula. Spread the cream cheese mixture over the crust. Fold the remaining pineapple into the Cool Whip and spread on top of the cream cheese mixture. Srinkle the remaining graham cracker crumbs and pecans on top (I just use the nuts on top). The holidays are a special time to give back and remember those who are less fortunate. Every year our office makes many local donations: NWI Food Bank, Wounded Warriors, Special Olympics, Humane Society, Munster Schools Radio Talk Show, Munster Parks, Bridges and Children’s Miracle Network. This season, we are proud to team up with the Children’s Miracle Network at Lurie Children’s Hospital in Chicago to provide toys, art supplies, books, teething rings, bottles, cards, ear buds, legos, etc. as they will be able to get these items right at the hospital! There is a rule of thumb that a 1% change in interest rate equals an 11% change in borrowing power. In the last year, mortgage interest rates have begun to rise. This will have a direct effect on the cost of housing. As interest rates rise, the cost of living in the very same home increases. That’s why it’s good to buy when the rates are low! To simplify, as interest rates go up, a home purchaser will have to settle on a lower priced home if they would like to keep their housing payment the same. This especially holds true from a qualifying perspective. Maximum loan amounts are based on a the payment a borrower can afford. This payment is calculated as a percentage of a borrower’s income. When rates go up, borrowers cannot afford as much home. The same $250,000 loan will cost $148.51/month more with just a 1% interest increase interest rate. That’s an increase in payment of 12.44% per month!! Here is a similar example, but this time showing how much less you can borrow while keeping the same monthly loan payment. Incidentally, this is the way that a lender determines your maximum borrowing power. Lenders first determine your maximum allowable housing payment. ** Let’s say a home buyer qualities for a payment of $1,193.54. To keep the same monthly payment at a higher interest rate means that you will not have as much borrowing power. A change from 4% up to 5% means that you can now only borrow $222,335. That is $27,665 less that you can borrow for the same payment. That’s 11% less in borrowing power!! So... when is the best time to buy? When the interest rates are still low! Don’t miss this opportunity to purchase a home before the rates rise again. **In both examples, I have excluded the effect of down payment, taxes, insurance and mortgage insurance. So there can be some variation. If you would like me to calculate your exact situation, just give me a call. When it comes to saving you money, math is fun !